Our modern facilities include a customer service counter, equipment sales showroom and equipment rental and servicing, including tank service and filling station. The schooling centre is loacted just a few minutes away at our Palm Garden Resort, and offers multi-media air-conditioned class rooms as well as a 3m deep training pool. 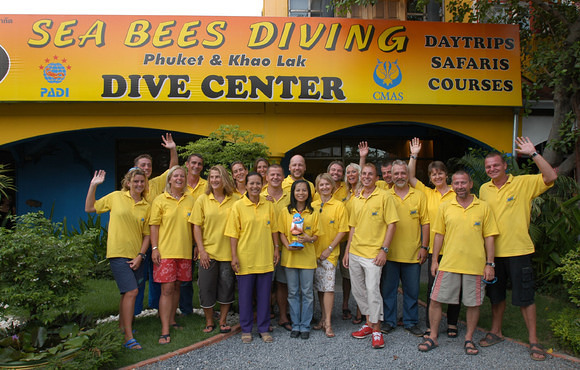 Adjacent to the dive centre is our cosy restaurant where you can enjoy vibrant Thai and international cuisine or have a chat and a beer with your dive buddies. 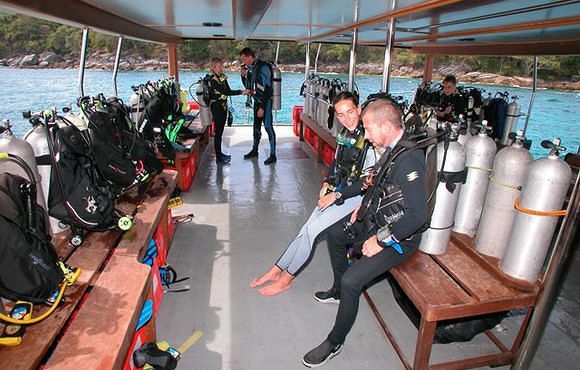 Phuket’s dive sites average between 18-30 metres, and offer easy to medium diving levels. Drop-offs, small caves and wrecks are present as well as bizarre rock formations and coral gardens. 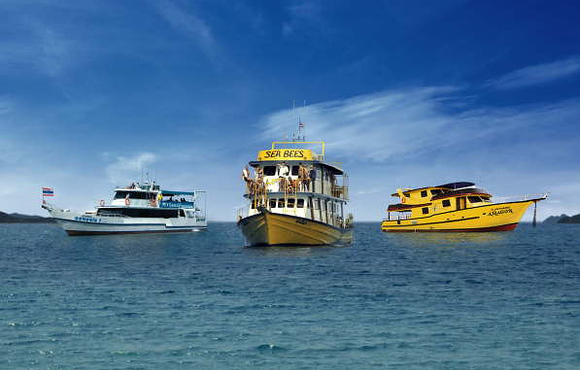 The maritime life of the Andaman Sea is very versatile, and offers amongst many tropical fish also rare species such as sea horses and ghostpipe fiish. Leopard sharks are frequent companions during our dives, and from time to time y manta can be seen in flight. 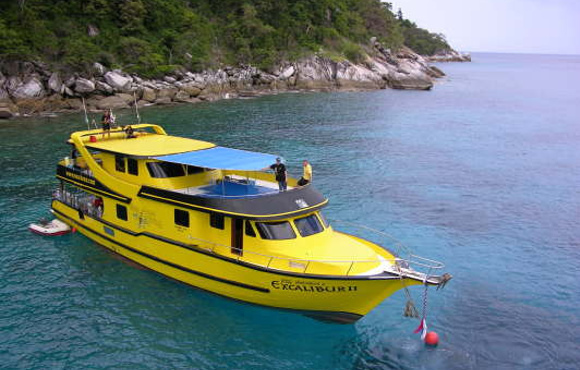 The Similan Islands are a stunning group of nine islands north-west of Phuket. 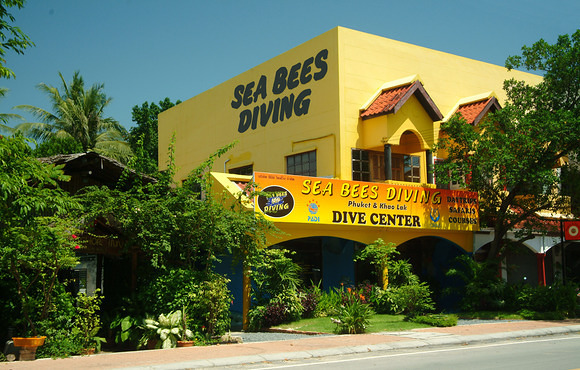 They are famous for being one of the top dive destinations in the world and certainly the best in Asia. The diving is simply amazing. The dive sites in Similan and Surin Islands are in general slightly deeper, and the fantastic visibility of usually not less than 30m is captivating. 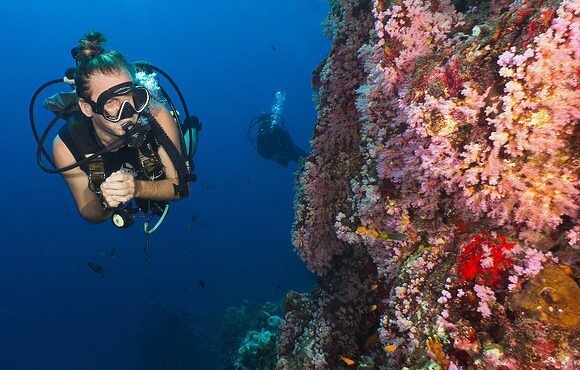 These dive spots are suitable for all diving levels and offer a large diversity of marine life. Coral fish, barracuda, sharks and during February and May even manta and whale sharks make a divers heart beat faster.